1969: Bright Promise premiered on NBC. 1978: The final episode of For Richer, For Poorer aired on NBC. 1986: Another World's Marley and Jake were married. 1989: Terry Lester debuted as Mason Capwell on Santa Barbara. 1947: Radio soap opera Claudia premiered. Due in large part to the success of the two Claudia movies, the D'Arcy advertising agency decided to bring the characters to radio in a five-a-week quarter-hour serial on behalf of its client, Coca-Cola. Kathryn Bard was cast as Claudia and Paul Crabtree as David, with Joe King announcing. 1969: On The Doctors, Dr. Althea Davis Bellini (Elizabeth Hubbard) invited Dr. Steve Aldrich (David O'Brien) over for dinner, which didn't make her husband, Dr. Nick Bellini (Gerald Gordon), very happy. 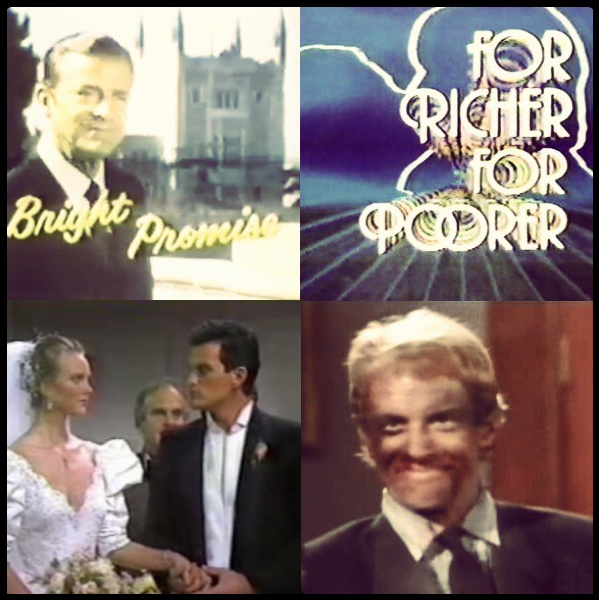 1978: NBC aired the final episode of For Richer, For Poorer, a daytime soap opera that had originally been titled Lovers and Friends when it premiered on January 3, 1977. In November 1977, the characters of Amy Cushing (Christine Jones) and Austin Cushing (Rod Arrants) crossed over to the network's top-rated Another World in advance of the show's transition to becoming For Richer, For Poorer. Another World characters Rachel Cory (Victoria Wyndham) and Mac Cory (Douglass Watson) also appeared on For Richer, For Poorer in an attempt to boost ratings. 1980: On General Hospital, Joe Kelly (Doug Sheehan) had a heart-to-heart talk with his hospitalized father, Paddy (Frank Parker), before Paddy died. 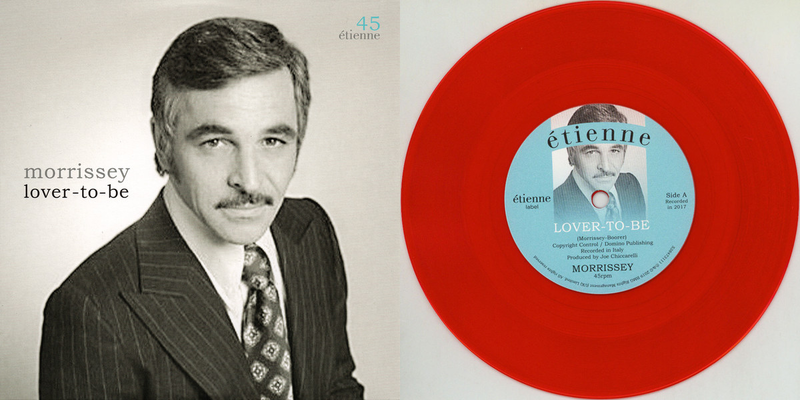 1986: On Another World, Marley Love (Ellen Wheeler) married Jake McKinnon (Tom Eplin). Wheeler and Eplin left the series at this point, with Marley tossing her wedding bouquet at the end of the episode. The next episode revealed it was her twin sister, Victoria (now played by Rhonda Lewis), who caught the bouquet. 1989: Terry Lester debuted on Santa Babara as Mason Capwell. Lester had starred in The Young and the Restless as Jack Abbott since 1980 but let his contract expire on August 17th. He ran into Santa Babara head writer, Chuck Pratt, an a Los Angeles function where Pratt commented, "Boy, would I like to write for you," which Lester found very flattering. Two weeks later, New World Television president Jon Feltheimer called Lester at home and emphasized that his company had many other production arms other than Santa Babara and that if he joined the cast of the soap, they would help him find the other vehicles he was interested in. So Lester moved to Santa Babara and the role of Mason, and Peter Bergman joined Y&R as the new Jack. Erica: Mommy has to go now but I want you to take care. I want you to take care to stay out of Mommy's way. Or Mommy's going to mow you down so fast and she will never look back. Erica: Yeah, you've made that really obvious. But Kendall, be careful what you wish for next time. You just might get it. 1995: On Another World, as Grant Harrison (Mark Pinter) held on to the secret that he shot his brother, Ryan, Vicky Hudson (Jensen Buchanan) climbed into Ryan's (Paul Michael Valley) hospital bed and held him. 1997: On One Life to Live, Maggie Carpenter (Crystal Chappell) left Llanview. Meanwhile, Max Holden (James DePaiva) told Renée Buchanan (Patricia Elliott) that his relationship with Maggie wasn't meant to be, and he felt kind of relieved. 2003: On EastEnders, after an intense encounter wherein Dennis Rickman (Nigel Harman) revealed his feelings for Sharon Watts (Letitia Dean), she finally gave in to her passion and slept with him -- controversial because, while not raised together, Sharon was Dennis' adopted sister. 2004: On Guiding Light, Ross Marler (Jerry verDorn) broke the news to his nephew, Phillip Spaulding (Grant Aleksander), and Alan Spaulding (Ron Raines) that Roger Thorpe had died.